GAIL signed for US LNG exports from the Dominion Cove Point project in Maryland. India received the first Liquefied Natural Gas (LNG) cargo from the US under a long-term contract of 20 years on Friday at the Dabhol regasification terminal in Maharashtra. Dharmendra Pradhan, Union Minister Petroleum & Natural Gas and Skill Development & Entrepreneurship, Patrick Santillo, Minister Counselor for Commercial Affairs, US Embassy and B.C. Tripathi, CMD, Gas Authority of India Limited (GAIL) were present to receive GAIL’s first charter hired vessel – MV Meridian Spirit carrying 1.2 lakh tonne LNG. 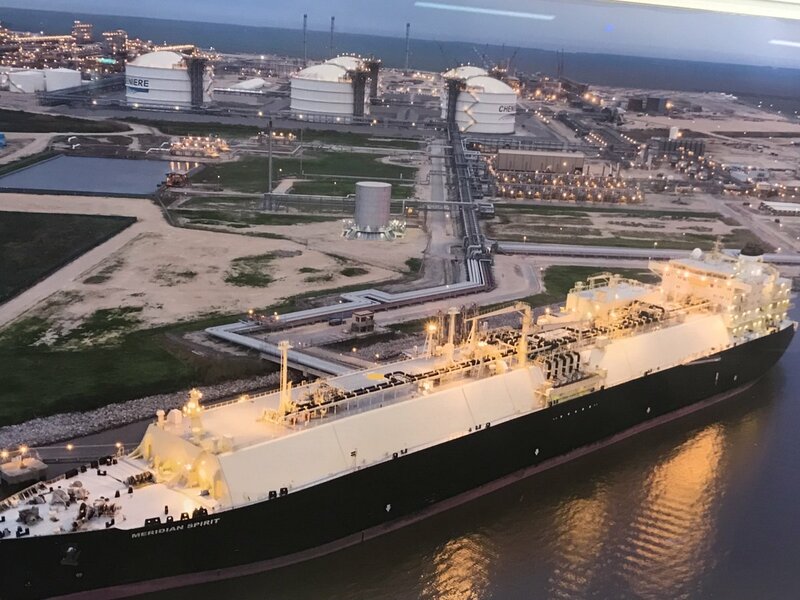 The shipment is part of a 32-billion US Dollars supply deal for 20 years that GAIL signed with the Dominion Energy Cove Point project in Maryland and Cheniere Energy Inc’s Sabine Pass Project in Louisiana. According to the agreement, GAIL will receive 22-24 shipments per annum till a breakwater facility is built in the port. Once that is done, the company will get 80-90 shipments a year. “Commencement of LNG supplies under the Henry Hub-indexed contracts is significant for GAIL and the Indian markets,” noted a statement issued by GAIL. Pradhan also announced that the newly-created Gail arm Konkan LNG will invest $10.75 million for the construction of a breakwater facility at the port. “We’ve finalized the tender for the breakwater that will be floated very soon and hope to begin work before the monsoons at the earliest or soon after the monsoons,” Pradhan told reporters, reported —. GAIL is one of the early movers to contract US LNG and has 5.8 MMTPA of US LNG in its portfolio. GAIL will have an optimum portfolio mix of LNG indexed to Henry Hub (HH) and crude oil and the customers will benefit from such a unique price blend. GAIL signed for US LNG exports from the Dominion Cove Point project in Maryland and the Sabine Pass project in Louisiana in 2011, and 2013 respectively. “The United States continues to partner with India across the broad range of energy collaboration, whether through traditional energy sources like oil—the first crude oil shipment from the United States to India arrived in October 2017 in Odisha—or LNG, or through other sources like coal and renewable energy,” said Minister Counselor for Commercial Affairs Patrick Santillo.